Lush & green, nurtured by the mighty Brahmaputra- B & A Limited operates through seven quality Tea Estates in the India's largest tea growing region of Assam. The names of the Tea Estates are Barasali, Gatoonga, Kuhum, Mokrung, Salkathoni, Samaguri, and Sangsua. Premium quality CTC tea is produced in its three state of the art manufacturing units, namely Gatoonga, Salkathoni & Mokrung. All of the above units are equipped with latest technology machineries and certified by FSSAI & ISO 22000:2005. 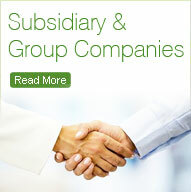 The units have also verified under Trustea certification. 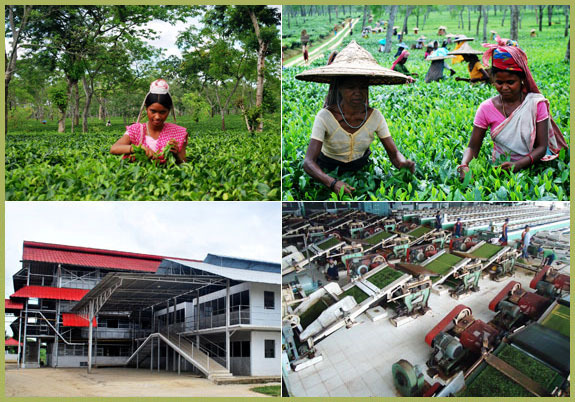 One more modern factory with latest technology machineries is coming up at Sangsua Tea Estate. 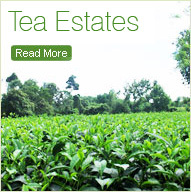 The company produces around 5.5 million kgs.of tea per annum. B & A Ltd serves only domestic market and most of its produce is distributed through auction sales.